Rhino food tray sealing machines help businesses seeking to enhance the shelf life, appearance, and distribution reach of their products. UltraSource offers three tray sealing machines that are available in seal only or with modified atmosphere packaging (MAP) capability. 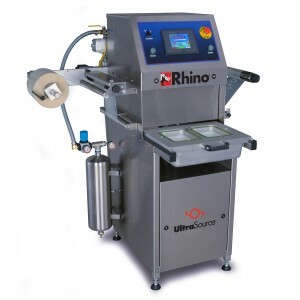 The innovative and robust Rhino tray sealing machines are built and serviced at the UltraSource headquarters in Kansas City, Missouri. Whether you are lidding small to large quantities of single or multi-compartment cups or trays, UltraSource packaging specialists can consult with you in the design of a solution that fits your production and budget needs. Speak to an UltraSource packaging specialist at 800-777-5624 to discuss how a drawer style or automatic Rhino food tray sealer can help boost your production quality and distribution reach. The Rhino 4 food tray sealing machine is a great choice for businesses running small to medium size production batches and test kitchens and labs. The Rhino 4 is versatile and can be configured with modified atmosphere capabilities and you can order additional tools to lid various size cups, trays, or multi-compartment trays and bowls. 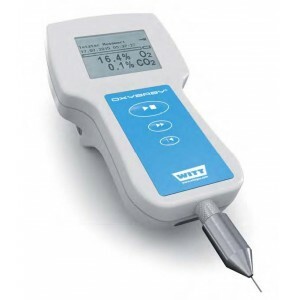 The sealing cycle times depend on the speed of your worker and whether you are sealing your products with gas. Lid only sealing cycle times are faster than tray sealing with gas. It is easy to turn on the Rhino 4 gas capability, all it takes is a touch of a button. This makes it convenient to adapt your tray sealing to your customer segments. For example, you may only want to use gas when intending to ship a product batch and you need a longer shelf life. 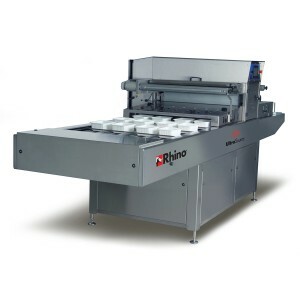 The Rhino 10 and Rhino 12 are higher capacity automatic tray sealing machines. The Rhino 10 supports three rows of standard #3 trays and the Rhino 12 handles four rows of standard #3 tray sizes. Trays are automatically moved down their tracks and sealed with or without modified atmosphere gases. A channelizer can be purchased to help streamline the discharge of sealed cups, trays, bowls, and multi-compartment trays, cups, and bowls. 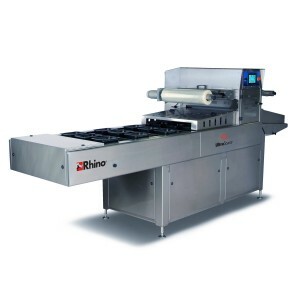 The Rhino 10 and Rhino 12 tray sealing machines are ideal for medium to large lidding production runs for prepared meals, meat, poultry, vegetables and even medical and other non-food products. Some customers even seal to cardboard trays and cartons for fresh produce applications. Talk to UltraSource today at 800-777-5624 to discuss how a drawer style or automatic Rhino food tray sealer can help boost your production quality, shelf life, product presentation, and distribution reach.